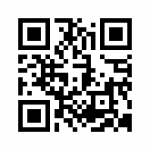 Fax it to us at 1-604-946-8524 or scan and email to Accounts Receivable. If you are outside of Canada, or in the province of Quebec, we need your original signature, so please make a copy for yourself, and mail the signed Credit Application & Agreement to us. These are the terms and conditions related to the products and services we sell to you. Build and save parts lists, and easily order them. Check parts order status, and make changes to your orders. See your account statement and invoice detail. See your invoices and equipment purchases back to day one. If you don’t have a Frontier customer account, please send us a Credit Application (see above). Go to Create a Frontier web account. (It takes about three minutes.). Once we link your personal Frontier web account to your Frontier customer account, you’ll be ready to go. Please contact Accounts Receivable for detailed information on how to transfer funds to our bank account.